The physical benefits are the most noticeable benefits pertaining to detoxification. 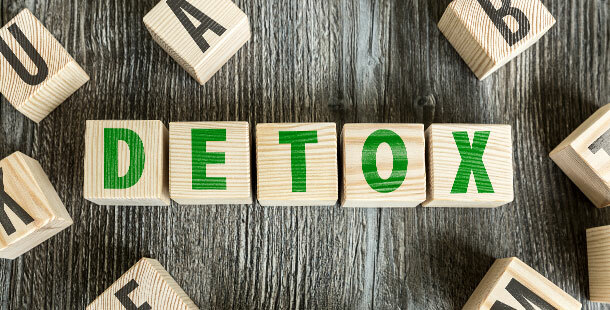 A majority of toxins store up in major organs, such as the stomach and the liver, but detoxing the body is the best way to clear the toxins from the organs that are most affected. After detoxing, these organs will begin to function more effectively. Your body will feel lighter and you will have more energy. Detoxing the body also clears away free radicals. This will make your immune system stronger, and reduce your risk of developing cancer. A solid detoxing regimen will also clear your blood, allowing it to circulate better. Good blood circulation is critical to preventing cardiovascular disease. The toxins and free radicals that accumulate in the body can have a negative effect on the brain. These toxins make it difficult for your brain to function, which can lead to cognitive decline. By detoxing, you are ridding the body of these free radicals and you will no longer experience difficulty sleeping or chronic fatigue, which could cause you to have trouble concentrating. After a detox, many of these issues will begin to improve, or disappear, over time. Long-term eating and exercising habits could help you maintain a healthy weight and reduce the risk of obesity, diabetes, and heart disease. Keep in mind that although you can lose weight with a detox, the short-term results do not last permanently. In order to maintain an ideal weight, you will need to create a long-term detoxing regimen and stick with it. Another one of the top benefits of body detox is clearer, smoother skin. As the toxins are removed from your body, you will begin to see the acne disappear. Do not become discouraged if it takes a little more time for the itches and patches on your skin to clear up; this is a part of the process, and it is a sign that the detox is working. These are some of the top benefits of body detox that you can enjoy. Although many people believe a body detox is hard to do, it is actually something that can be done with a little willpower. Transforming your body, and life, for the better are two reasons why starting a detox regimen is a great idea!